Guess what?? The management is passing out phony flyers to customers. 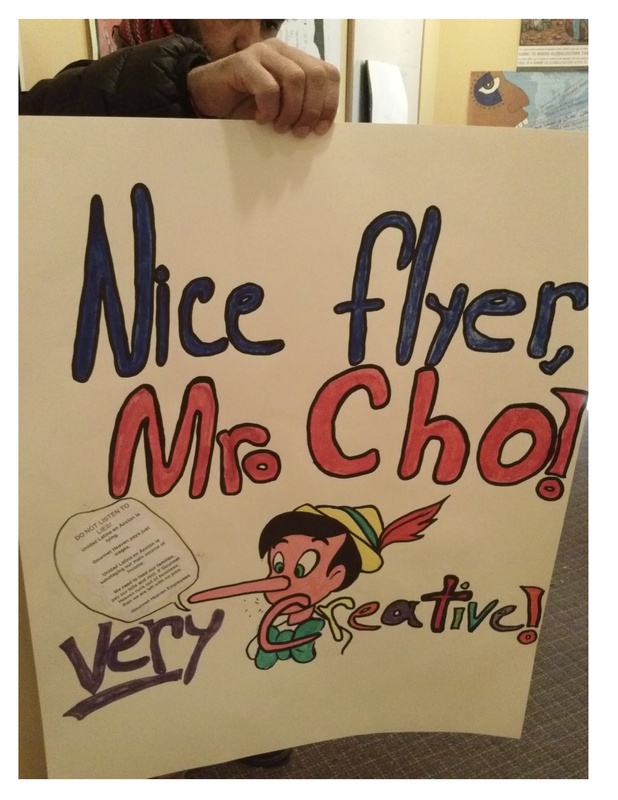 See our response below… Very funny Mr. Cho! We need volunteers to pass flyers outside Gourmet Heaven on a regular basis … please contact us! 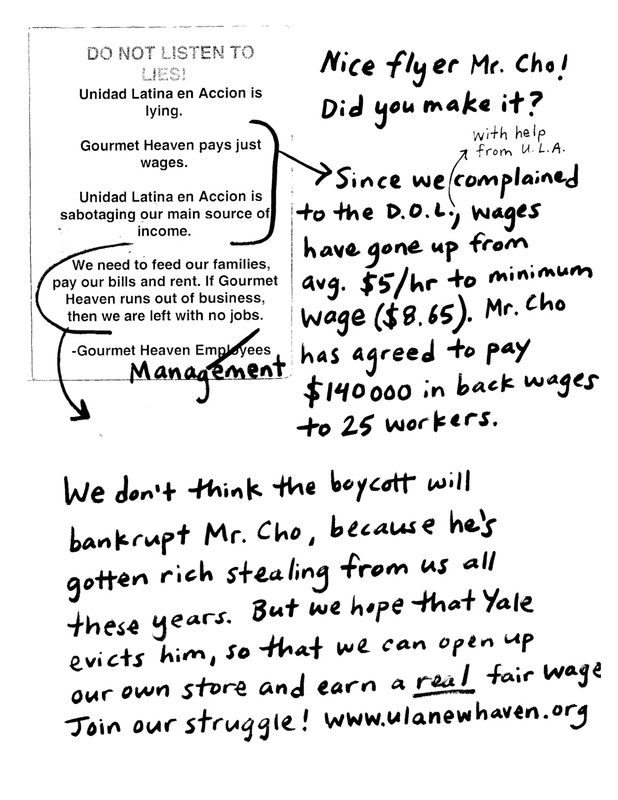 On www.ulanewhaven.org A new video in which one of the fired workers says “Hello students … I want to ask for your help!” And a pamphlet by Yale students that answers your questions such as “Isn’t this a matter for the Department of Labor?” “Are the workers comfortable with all this?” Check it out!